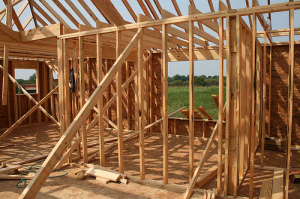 Building your own home from scratch can be a very fulfilling and exciting undertaking. Not only does it allow you to create the home of your dreams from the ground up; you’ll also have the satisfaction of knowing you’re living in something you built. The journey of building can also be an invaluable learning experience in itself. But if a home build is something you’re seriously considering, it’s important to do your research beforehand. Once you’ve got got planning permission sorted; have designed your abode and mapped out a budget, its time to start thinking about what equipment you’ll need. Either you or the construction engineer in charge of your self-build will be responsible for ordering equipment and ensuring it is delivered on time for the start of each stage. You or he/she will have contacts to many of the major wholesalers and manufacturers throughout the UK and should negotiate with these to maintain a smooth building process. Here are some of the main types of equipment you’re likely to need. During the pre-construction phase, you’ll need to think about fencing off the worksite area to keep the public safe and keep materials protected from theft. Types of fencing available include typical iron scaffolding; bollards; balustrades; galvanized railings; fencing timber and pedestrian guardrail. Speak to your engineer before making any hiring decisions and always make sure your chosen company’s operators possess the correct qualification for their job. As the build project develops and progresses, access equipment will be essential for allowing workers to reach every part of the growing building. This will be particularly important for stages like second storey flooring, roofing, window-fitting and any additional extras such as solar paneling. Mobile elevated access platforms (MEWPs) come in a variety of models and sizes, each one suited to different tasks. These are outlined briefly below. 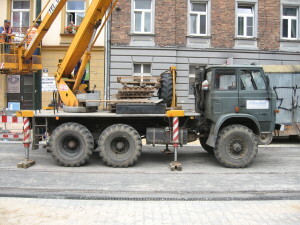 Truck or van-mounted MEWPs are able to be mounted onto the back of such vehicles for easy transportation and movement. They are the known for being the easiest MEWPs to use (though all operators must have at least a standard license for the weight of MEWP they are driving). Cherry pickers (also known as ‘bucket trucks’) are one such type of access platform, often used for reaching very high places in construction; cable/telephone/tv repair; painting and mining. 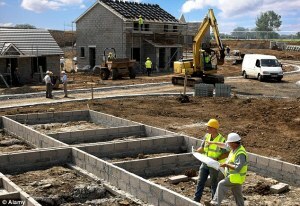 They are commonly used in self-build projects for their ease of utility. Thanks to their incredibly compact dimensions, they are able to fit through a standard 0.8m x 2m double door, making them handy for self-build projects. Self-propelled booms are popular for their ability to maneuver themselves around the work-site unassisted. They are particularly helpful in a self-build situation, where there is likely to be several smaller operations going on at once. Self propelled booms can reach up to 47 meters (or 10 meters in the case of mast booms) and are available in both diesel and battery powered variations.